PayPal Checkout provides users with a simple and secure checkout experience that doesn't require them to navigate away from a website or mobile app to complete the payment process. New features like Smart Payment Buttons automatically display common payment methods, such as Venmo and PayPal Credit, making it easier for users to complete payments. 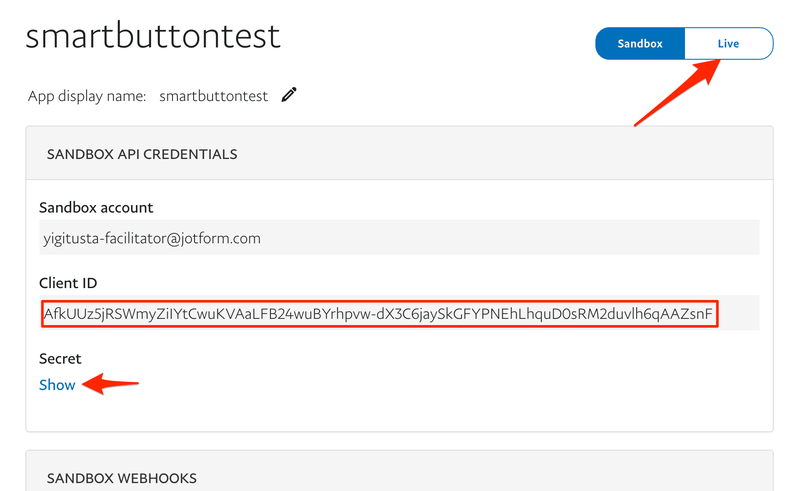 What can you do with JotForm's PayPal Checkout integration? How do you integrate your forms with PayPal Checkout? First, go to PayPal to obtain the necessary credentials for this integration. Please keep in mind that you need to have a premier or a business PayPal account to use this integration. 1. Go to https://developer.paypal.com/ and log in. 2. Click "My Apps & Credentials." 3. Scroll down to REST API apps and click the "Create App" button. 4. Enter a name for your app and click "Create App." 5. Click on the "Live" button to obtain your Client ID and Client Secret. 1. Click "Add Form Element" in the form builder. Open the payments tab. Click on PayPal Checkout in the list to add it to your form. 2. Paste the Client ID and the Client Secret you obtained from PayPal in the payment integration wizard on the right side of the page. 3. Choose the currency you want to use from the dropdown. 4. Use the button settings to format the buttons. 5. Select one of the payment types in the payment type dropdown menu. 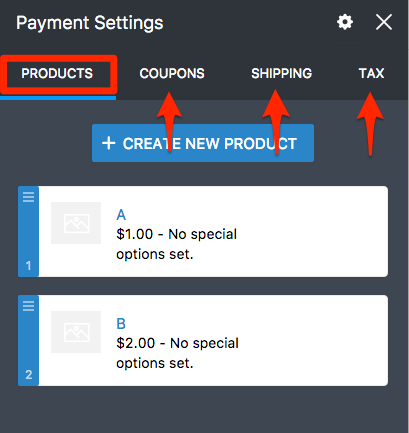 If you select "Sell Products" and click "Continue," you will be prompted to create your products, coupons (optional), shipping (optional), and tax (optional) in the next step. You can also add images, quantity, and other options to your products in this step. If you select "Collect Donations" or "User Defined Amount," there is no next step. Your integration will be complete. Funding sources, such as PayPal Credit and Card Payments, are usually offered to users dynamically, based on their location and cookies. 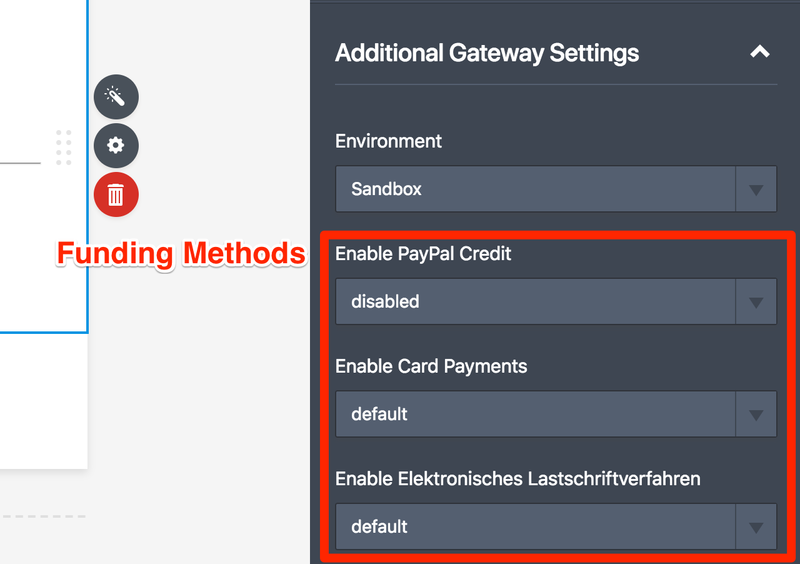 You can change the default settings yourself from the Additional Gateway Settings section, which can be accessed at the bottom of the PayPal Checkout Integration menu. Note: Venmo will be displayed automatically to eligible consumers and cannot be enabled/disabled. Note: If you want to test your integration without processing actual transactions, make sure to change the Environment option to Sandbox in the "Additional Gateway Settings" section. 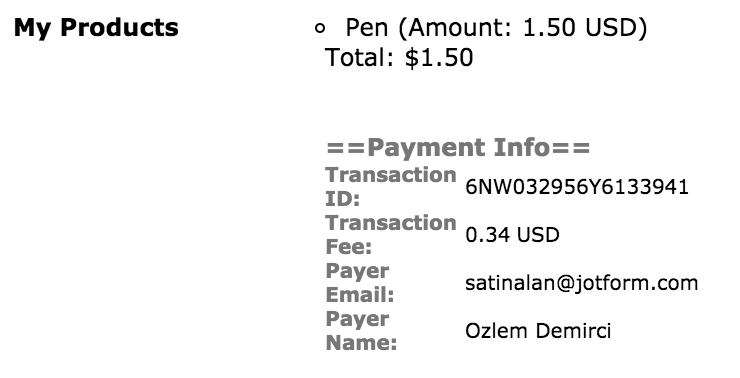 The payment is authorized on the form itself. The payment is executed only when the form is submitted. On the form submission page and in notification emails, the payment information will include Transaction ID, Transaction Fee, Payer Email, and Payer Name. If you have any questions or suggestions about JotForm's PayPal Checkout integration, feel free to post them in the comments below. When I try to update everything it says "client authentication failed", I have added client id, and added the hidden URL, and I am not sure what I am missing at this point. assistance? In PayPal Checkout is it possible to set the default country to United Kingdom? Where does the money go to? I have done all of the above and I have received multiple payments but no funds into my paypay account?? What am I doing wrong?? Can you still attach values to your form items? I used to be able to attach a value to certain line items and the total would be calculated and put in an invoice for payment to PayPal. I can not see where that option is anymore or if it has changed. Why can't I just drop in my HTML button code. This is a pain. When I attempt to do the payment, it says "Client authentication failed"
There seems to be a problem. Payment button does not go to paypal. Can you please check to see if I have everything right?